As China's economy keeps growing, an increasing number of foreigners are planning a relocation to Beijing. China is the second largest economy in the world, and there are many job opportunities for expats. Beijing is the political center in China, but it is also the center for culture and for business. Relocation to Beijing: Where to ... Read more Considering Relocation to Beijing? A relocation to Bangkok can be exciting and rewarding, thanks to the exotic characteristic of the country, the wonderful food and the warmth of the locals. However, it can also be fraught with stress, confusion and uncertainty, especially for someone who is unfamiliar with the country and its customs and culture. To make your move ... Read more Planning a Relocation to Bangkok? Considering relocation to Kingston? There are things you need to consider before you make such a huge step in your life. While the thought of perpetual sunshine attracts many people, it is not the only thing you can look forward to in Jamaica. Furthermore, there are lots of issues that can arise while you are ... Read more Considering Relocation to Kingston? The exotic nation of China, home to a civilization five thousand years in the making, might as well be an entire world away in comparison to Canada. Any Canadian thinking about relocation to China should know several things about the nation. What to Expect When you Relocate to China If you are a Canadian, odds are ... Read more Planning Relocation to China? Planning Relocation to Washington DC? One of the top destinations where Canadians emigrate to is the United States. 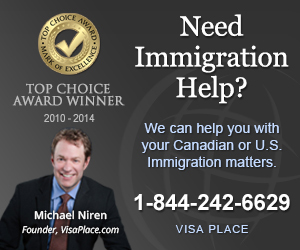 More specifically, according to figures published by Statistics Canada, 82% of Canadian emigrants live in the US. Out of these, 58% have been in the US for more than 20 years. However, relocating to another country is not always easy for most ... Read more Planning Relocation to Washington DC? Relocating from one country to another can be a major challenge especially if you are not familiar with the climate, culture and living conditions of the new country. If you are considering relocating to Israel, it is vital for you to understand the lifestyle and working/living conditions that you can expect in the country beforehand ... Read more Considering Relocation to Israel? Many Canadians may have some heritage in Scotland or the northern parts of the UK, making the prospect of relocation to Scotland a great opportunity to see part of their past and ancestry come to life. Anyone hoping to relocate to Scotland, however, needs to know a few things about the Scottish way of life. The ... Read more Considering Relocation to Scotland?